My main computer is currently in intensive care and I'm trying to save any important files and documents before I operate. 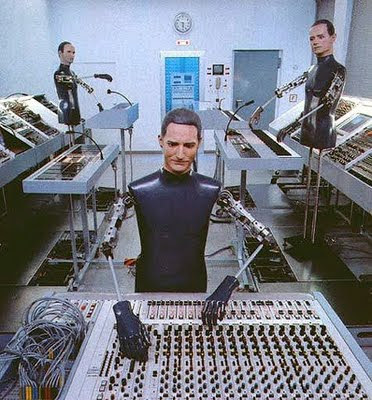 I bet if Kraftwerk were here they would have it fixed in time for a nice light lunch and an early afternoon cycle ride. Bah! While I struggle with DOS screens and drink too much tea here's the list of things I hope to head out to this week. I haven't got the time to compile my usual Monday list for the coming week so if you'd like to let all the readers know of a concert happening, please leave a comment. Today (Tuesday 20th) I'll be heading over to Pure Groove to catch a free show at 7:30pm by the fiercely talented London based Kate Tempest (click here for details). On Wednesday I'm lucky to be off to a pre-release screening of Nirvana's awesome 1992 Reading show -I'm reviewing this one for another website so expect a link to my review here very soon-here's a clip in the meantime. On Thursday I'll be at my local pub quiz and on Friday at 10pm BBC4 are running Minimum- Maximum which is a compilation of live performances from Kraftwerk's 2004 world tour. In the meantime, here's what I'll be looking at ALL day. The Marginalised series of concerts is taking place at the Union Chapel this week in support of the Margins homeless charity. Saw the Gavin Bryars Ensemble performing "Jesus Blood Never Failed Me Yet" last night, one of the most moving pieces of music I have ever heard. Hope you sort it all out soon. 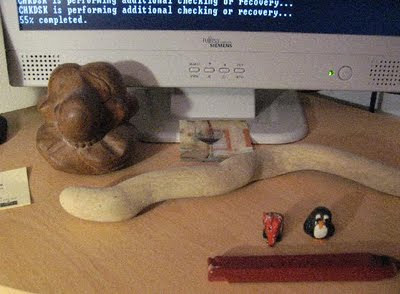 Thanks, still not worked it out, working off my teeny weeny eeepc instead which is slowly driving me up the wall!